A Bowen Designs Sculpt! In Professor Charles Xavier's first class of X-Men was Warren Worthington III, a young man, born of privilige, who was gifted with feathery wings that gave him flight. 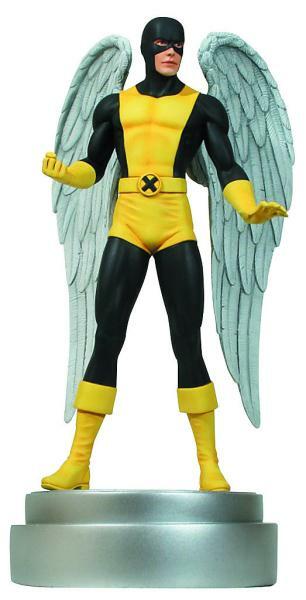 Under the code name Angel, he was one of the X-Men's founding members, and this 12' tall statue by Mike Cusanelli depicts Angel as he is on the brink of taking flight.